Drugs n Stuff 19 with Dave Crosland. 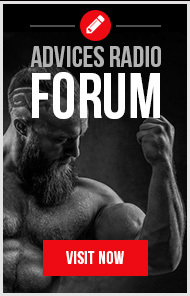 Dave and Scott McNally take listener questions related to diet, training and PEDs. This week, understanding mood and PEDs. Estrogen management on cycle. Planning your contest season, cycle and picking shows. Plus the benefits (or lack there of) of insulin in bodybuilding Take part of the program by asking questions and providing topic ideas. What do you want to hear about? The Come Up Podcast 06 : Hailey and Ryan are joined by rising IFBB Figure Pro, Nadia Wyatt. Nadia joins is fresh off her 2nd place finish at the Arnold Classic and cruising in to the Olympia! Nadia discusses how she added mass in her offseason, prepping herself for the Arnold, answers listener questions, and more. Drugs n Stuff 18 with Dave Crosland and Scott McNally. Take part in the next episode.